"We could have died in there," Olivia whimpered. Tears were flowing down her cheeks, creating shiny trails through the soot and ash that stained her face. "We could have been killed,"Kitty said. Her voice tight. "That's what I said." Olivia wiped her nose. "No," Kitty said softly. "It's very, very different." Gretchen McNeil's Don't Get Mad duology is one of the most tightly woven, convoluted, unpredictable and ingeniously potted teen revenge series I've read to date. It's a fast-paced, high-intensity mystery/thriller with plenty of unexpected twists, badass cast of characters and convoluted yet seamlessly put together story line. In other words, this series rocks. In my review of the first book, Get Even, I said that the book wasn't as substantial and dark as Gretchen's stand-alone novels and boy, am I going to eat those words right now. At the time, I did not realize the scope of this story and just how awesomely complex and well-thought-out it was going to be. I am sorry, Gretchen, that I ever doubted your plotting skills. I will know better next time, I promise. Get Dirty was just flawless. A magnificent and perfectly satisfying conclusion to an epic and masterfully written mini-series. The book was just... wow. I am not even sure where to begin. 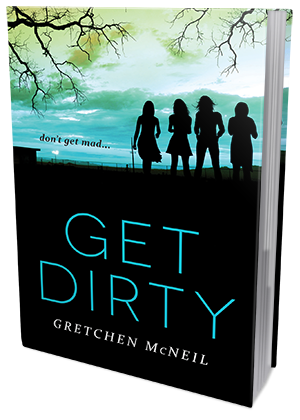 With the cruel cliffhanger ending of Get Even, and the many unanswered questions we were left with, I was counting the days to the release date of Get Dirty. I couldn't wait to find out how this story ends and who was behind all the murders. I really had no idea. That's a big part of why I love this series so much, it is completely unpredictable. I was almost done with the second book and I was still as clueless as I was at the beginning of the first one. It was almost frustrating, but also freakishly enjoyable, because really, point me to another author who can plot so devilishly. I honestly doubt anyone can beat McNeil at this game. I also really loved the fact that we got to know the characters from a more personal side. We got a look at their backgrounds and history, their family relationships and past. It wasn't a whole lot of details, but the details we got definitely made the story deeper and more complex. Plus, they really helped me understand the motivations of the characters. I appreciated that, especially since Gretchen could have done without it and the story would've been just as great. Overall, this is a fantastic duology. Truly. If you like books full of twists and turns, with nail-biting suspense and jaw-dropping surprises, you will have a fabulous time reading this series. It's an explosive one. 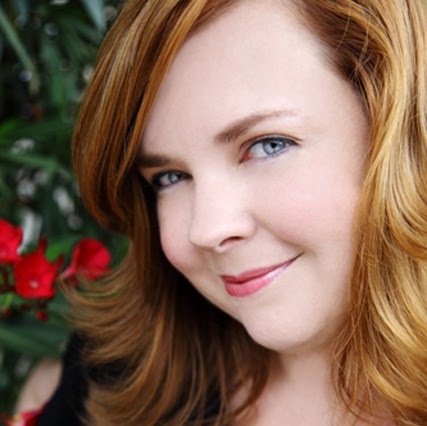 Gretchen McNeil is an opera singer, writer and clown. Her YA horror POSSESS about a teen exorcist debuted with Balzer + Bray for HarperCollins in 2011. Her follow up TEN – YA horror/suspense about ten teens trapped on a remote island with a serial killer – was a 2013 YALSA Top Ten Quick Pick for Reluctant Young Adult Readers, a Romantic Times Top Pick, a Booklist Top Ten Horror Fiction for Youth, a finalist for Washington state’s 2015 Evergreen Young Adult Book Award and Vermont’s 2014-2015 Green Mountain Book Award, and was nominated for “Best Young Adult Contemporary Novel of 2012″ by Romantic Times. In 2013, she released 3:59, a sci-fi doppelganger horror about two girls who are the same girl in parallel dimensions who decide to switch places.